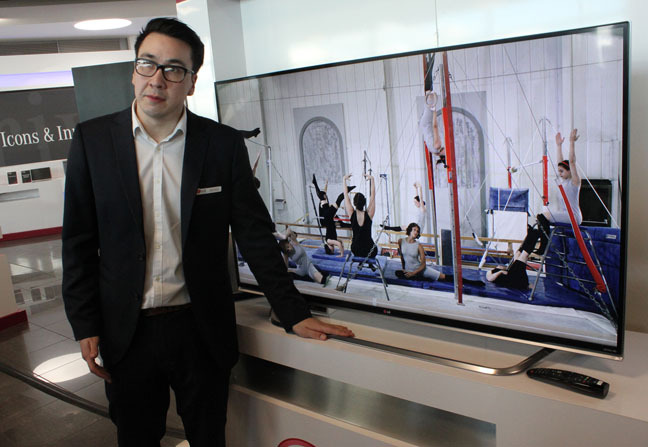 Firm ramps up TV production, unveils new 4K models — and cries wolf? “According to the latest GfK market data, 4K is really accelerating,” confided Andy Mackay – no, not the Roxy Music sax player moonlighting, but LG UK's commercial director of consumer electronics. In 2014, 4K was officially tracked at just over 200,000 units in a 6.5m UK market, he says. In January, this jumped to 10 per cent of the UK telly market. This consumer boom is being driven by an expansion in the number of 4K sets available which now start at 40-inches. 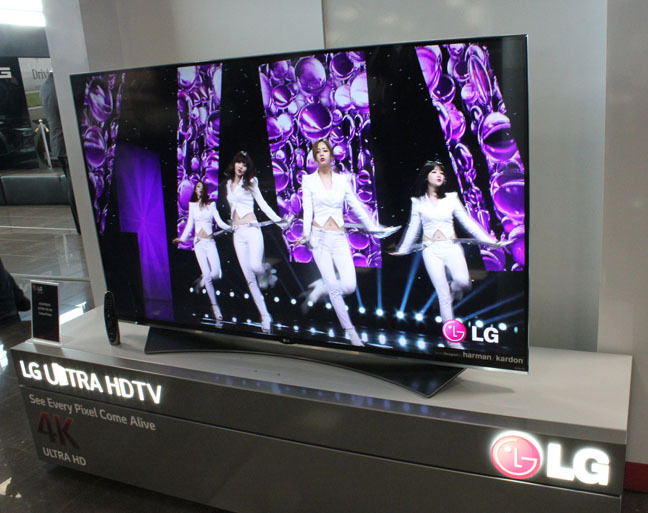 Naturally, LG has grand plans to woo high street buyers later in the year. The company is planning to launch a 55-inch 4K OLED at the Berlin IFA technology fair this September, just in time for the pre-Christmas buying season. It’ll slot into the same price point as the brand’s current Full HD model, the £2,500 EC930V. Also debuting at IFA will be LG’s first flexible 4K OLED screen, able to go flat or curved at the touch of a button (suggestions as to the point of this are welcome in the comments below). Even more dramatically, the company says it will be pulling the plug on LED TV R&D altogether from next year. The R&D shift follows a $600m dollar investment in its South Korean Paju panel production plant. Even once notorious OLED yields are now being described optimistically. “We’re now in a very different place to two years ago, when the yield rates were really quite low,” Mackay told me. As always, OLED’s biggest challenge will be timing. It’s always seemed out of step with the rest of the TV industry. For the past couple of years, OLED Full HD TVs have found themselves competing against similarly priced (or even cheaper) 4K LED models. This year, just as 4K OLED rolls out, next-gen TV banter is shifting to HDR. As yet, LG doesn’t have any HDR OLED solution, although it’s certain to make a pronouncement of some sort at IFA. The brand showed an HDR prototype at CES, but this looked far from match fit.